Eyelash loss can happen for a number of reasons, some perfectly normal and some a sign of serious health problems. It is normal for one or two lashes to fall out per day, because your hair is constantly renewing, but they should also grow back over time. This is considered your normal lash cycle. If not, you may want to consult with a doctor about why you’re losing eyelashes at an abnormal rate. However in the meantime there are a few things you can do to help ensure that your eyelashes grow back properly, such as changing your makeup routine and keeping your face clean and free of eyelash mites or an overgrowth of skin bacteria which are often the cause of some lashes being lost. Eyelashes, like all out bodily hair originate from follicles below the skin. Growth and development of the lash begins with the growth of these follicles, which consists of three phases. The growth phase (Anagen) lasts about 45 days and this is when the lashes are actively growing. The transition (catagen) phase follows this, and during these two to three weeks, there is no growth and the hair follicle shrinks. If an eyelash falls out or is plucked out during this phase, it won’t grow back right away because the follicle needs to complete the catagen phase before it can move on to the next phase. Only once the follicle completes this phase is it able to move on to the next the telogen (resting) phase. During this phase the hair falls out; and the cycle of growth is repeated anew, thereby completely replacing itself approximately every two years. The upper lid typically has about 90 to 150 lashes on it, while the bottom has between 70 and 80 lashes. Most eyelashes grow to be about 10 mm long (just over 3/8 inch). Eyelashes on the upper eyelid are longer and there tends to be more eyelashes than those of the lower eyelid. This curved shape of both rows of eyelashes helps to slip sweat and foreign particles out of the eyes. There are many reasons for eyelashes falling out that vary from one individual to another. These causes range from diseases and conditions, diet, some treatments and general care given to your lashes. We are going to cover the most common eyelash loss causes and from this list, you will be able to know what could be causing this problem in your case. So, what causes eyelashes to fall out? This is a physiological condition where the affected person involuntary pulls off their body hairs, including eyelashes. Being an impulse control disorder, the “affected people commonly pull hair from their scalp, eyebrows or eyelashes” [healthunlocked.com] and this can lead to loss of eyelashes. Trichotillomania Tangle often begins at different stages, especially during childhood or at puberty. Some pull a single hair out from its root while others might pull many hairs at once. This conditions might persist in adulthood in some people while in others, it stops. Having an underactive (hypothyroidism) or hyperactive (hyperthyroidism) thyroid glands is another common cause of eyelashes and eyebrows falling out that might also result in general body hairs falling out. Common symptoms of underactive thyroids glands include dry skin, weight gain and inability to tolerate cold. On the other hand, having overactive thyroid glands causes intolerance to heat, weight loss, headaches, a swollen lower neck and amnesia. Thyroid problems will cause your hairs to thin as well as make them dry and brittle. When this occurs, your scalp, eyebrow and eyelashes hairs will be falling out. Sparse eyebrows and lash hairs is a common symptom you will notice. Alopecia areata is an autoimmune conditions that makes some immunity cells to begin attacking your hair roots or follicles. It causes hair loss both on your scalp, eyebrows, eyelashes and other body hairs. Although it does not have a cure, if alopecia areata is the reason why your eyelashes falling out, you can opt for the various tropical creams to help reduce its effect. You will know you have this problem if you have patchy loss of hair. To some, the cause of eyelashes falling out is nothing other than the chemicals present in the various products that are used on eyelashes that include mascaras, eyelash primers as well aseyelash dyes. These various chemicals that might be contained in this products often trigger allergic reactions that result into eyelash loss. If you often react to other allergens such as pet dander, dust, smoke, etc., then the eyelash makeup you use could also affect your lashes making them to fall out. Furthermore, allergens in mascara, lash primes and dyes have been associated with contact dermatitis as well as conjunctivitis. It is rare but possible to haveeyelashes falling out due to mascara use, when used aggressively. Some skin infections such as atopic dermatitis (eczema), psoriasis and seborrheic dermatitis can result to itchy sensation that make people to rub their eyes and thus leading to madarosis. Excessive growth of the normal bacterial found on the skin, including the one on your eyelids could also cause eyelid inflammation, a condition known as blepharitis. Furthermore, eyelid inflammation can also be as a result of blocked eyelid oil glands or allergies. When your eyelid is inflamed, it becomes red and itchy. 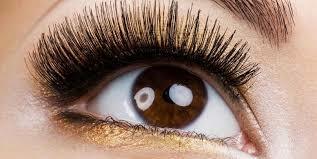 This can cause eyelash loss as the inflammation damages lash follicles if it is repeated for a long time. Furthermore, the rubbing of your eyelids due to the inflammation can also have an effect on your lash hairs. This could be what causes eyelashes to fall out in our special case, if you are suffering from blepharitis. If you are a cancer patient, chemo often causes hair loss i.e. you will have scalp,eyebrow hair and eyelashes falling out as well as other body hairs. This will be a short term problem since chemotherapy affects hair follicles. When you stop it, your hairs will begin growing again. Besides chemotherapy, there are some medications which have been found to cause hair, eyebrow and eyelash loss. “Research shows that oral anti-acne drugs such as isotretinoin, some anti-clotting medications, anti-cholesterol drugs, thyroid balancing drugs, and blood pressure medications have all been connected to madarosis” [paulaschoice.com]. However, the moment you stop using them, your lashes will start growing back again. If you notice a few of your eyelashes falling off, this is a normal process where once they have grown fully, they fall off as they age to give way for new ones to grow. This happens to all body hairs and it is a normal hair replacement process that happens unnoticed. If you are experience hair loss or loss of lashes during menopause, it is normal due to the dwindling levels of estrogen. The reducing estrogen levels often slows the growth of hair and it can cause hair follicle destruction and thus you will be having fewer and thinner lashes and hairs. This is a condition where long thick hair strands are replaced by “vellus hair, which is the very short, thin, fine, brittle hair that can be seen on close examination of areas of the body we tend to think of as hairless, such as our lashes, brows, cheeks, nose, etc.” [eyehealthweb.com]. It might be inherited or caused by other medical conditions. Latisse can be of help in dealing with it. Hormonal changes especially during pregnancy can cause lashes to fall off i.e. research has shown some connection between eyelashes falling out and pregnancy. Pulling of eyelashes as you try to remove mascara, especially waterproof mascara is known to also cause loss of eyelashes. Normal aging process does affect general hair growth including eyebrows and eyelashes. These are not the only eyelashes falling out causes, there are many others that could be unique to you as an individual. It is advisable to consult your doctor for further advice in case you cannot figure out what causes your eyelash loss. If you are one of the people who has been complaining that your eyelashes are falling out on your eyes, you now must be knowing what could be causing that problem. Let us not look at some of the ways on to stop eyelash from falling out, treatments and eyelashes regrowth or ways on how to grow eyelashes back. The first way to keep eyelashes from falling out is to carefully select the mascara brand you are using. There has been cases of some brands causing this problem. Covergirl bombshell volume was once mentioned to be an eyelash loss reasons [thefrisky.com]. In case of a chronic or severe eye infection, ensure you get treated or take go for the right antibiotics. Treating any skin problem around your eyes will ensure you do not rub them as this might not only affect eyelashes grow backor regrowth but also affect your eyes too. Using some of the over the counter tropical products and lash serums such asLatisse,RapidLash, RevitaLash or Talika Lipocils Lash Conditioning Gel might also help your lashes to grow back. These products will improve your lashes but they need to be used religiously and they might take time.